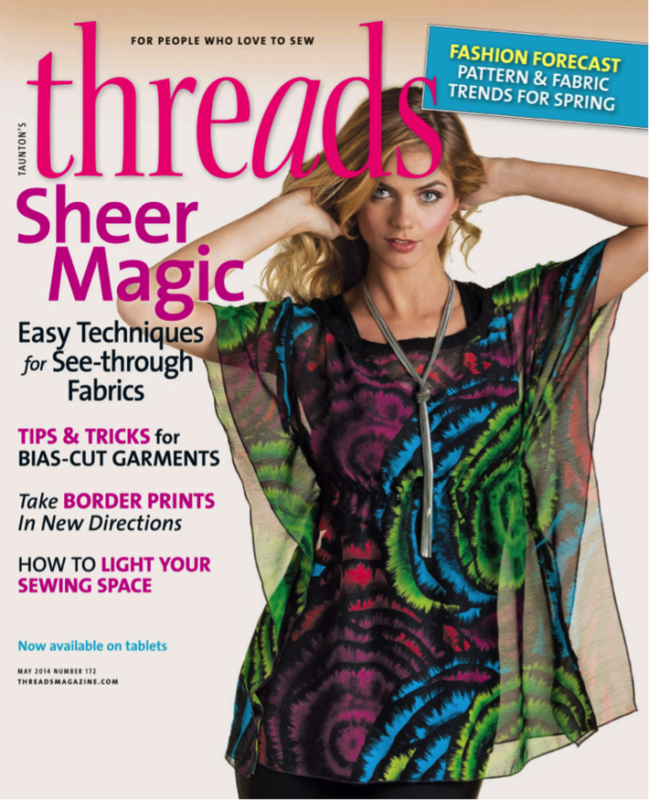 Threads #172 (April/May 2014) features expert techniques for working with sheer fabrics, tips & tricks for sewing with bias-cut garments, and shows you how unique ways for using border prints. THE NEW THREADS ISSUE NO. 172 IS OUT! 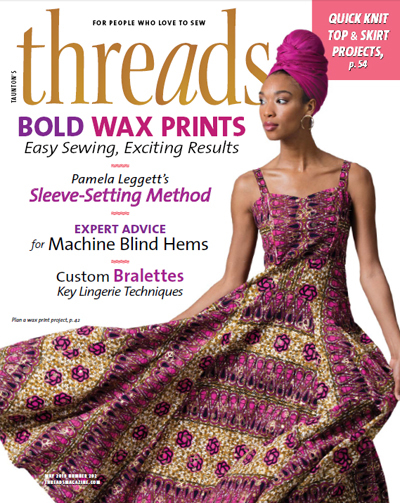 Threads magazine’s latest issue is out (April/May), and you can win a free copy! 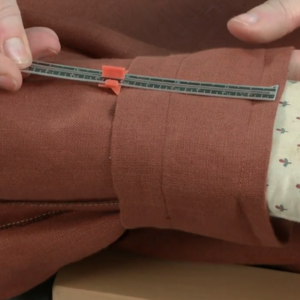 It’s full of great sewing techniques, embellishments, and notions for the approaching spring season! 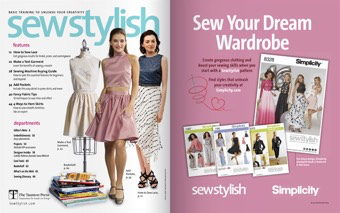 We asked our contributing authors to answer this question, “When did you first realize that sewing was going to be a big part of your life?” They each responded with a unique, personal experience. Lyla J. Messinger explained that her mother used to sew doll clothes which sparked her interest. Lynette Ranney Black told of the skills she acquired through a 4-H club in elementary school. Ruth Ciemnoczolowski was inspired by the cover of the novel, Gulliver’s Travels. 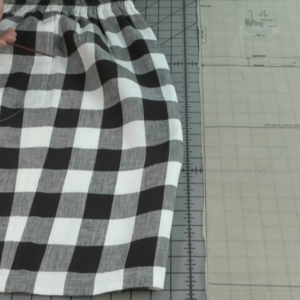 Finally, Pamela Vanderlinde at age 11 felt that she could make the clothes she admired, so she used her mother’s old sewing machine to teach herself to sew. 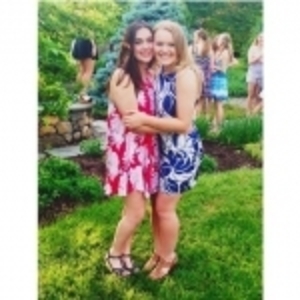 LEAVE A COMMENT TO BE ELIGIABLE TO WIN! 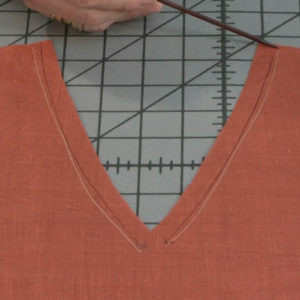 When did you first realize that sewing was going to be a big part of your life? 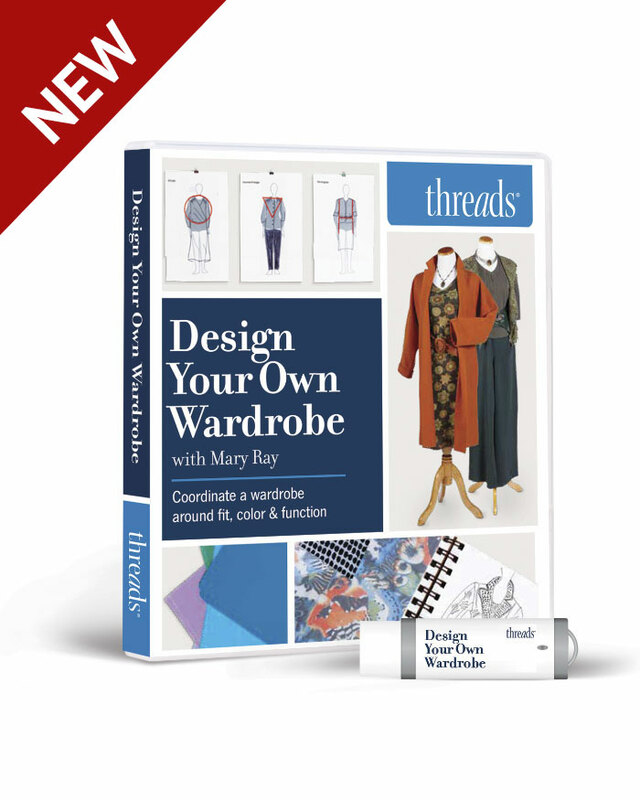 Tell us your story in the comment box below, and you could win a copy of Threads #172! The deadline for comments is March 14, 2014 at 11:59 p.m. ET and the winner will be randomly chosen during the week of March 17, 2014. Good luck! In Jr. High School I was in home economics class and sewing was a part of it. My first garment was a hooded sweatshirt with a kangaroo pocket. Just took off from there. You just can't go wrong with a Threads Mag. When I had a subscription, the girls at work would start a borrowing sheet for who would be next to read it. It's such a great read, EVERY TIME! When I was in high school, all girls would knit sweaters (buying wool was much cheaper than buying a ready made sweater). It was a lot of work. Once you knitted all the pieces, you were more or less done; all that remained was to sew the pieces together. So my inventive self found an effective shortcut: buy fabric, cut the pieces out, and you are more or less done; all that's left to be done is sew the pieces together. I later found out it was a tad more complex then that, but nevertheless, I never looked back. More than 30 years later, I'm still entusiastic and still learning how to do it better. 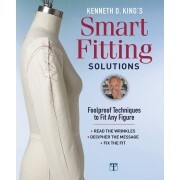 I am an aspiring fashion designer who reads a lot of books about sewing and other aspects of fashion design. I also work on sewing as much as I can. 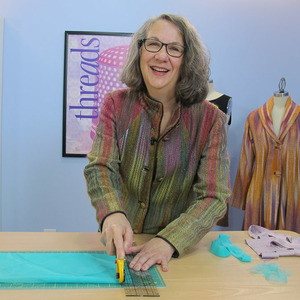 Threads is a wonderful resource - packed with experience! I think that I was about 18 when I seriously took to sewing. The only previous sewing experience I had was in my junior high Home Ec class, where we made a pillow case. Then at approximately 18 I joined a medieval reenactment group (SCA) and discovered that I could finally try making some of the historical garments that had fascinated me for as long as I could remember. So I essentially had to teach myself to sew. 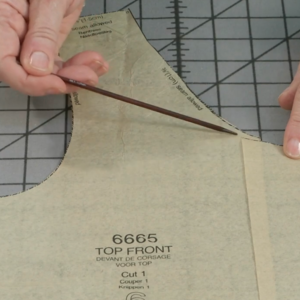 However, it was Threads Magazine that showed me how to do everything from lining the garment to setting in sleeves and hemming. Your magazine basically became the teacher I never had - allowing me to reach the place I am now. I'm excited to be finally setting up my sewing room in our home. Most of my sewing stuff has been stuck in storage for the last 3 years but now the spare bedroom is mine! The new flooring is laid, walls are painted and furniture is being assembled. I can't wait until I can sit down and start sewing. I learned basic sewing from my mother when I was a child, but it bacame a hobby 5 years ago. At that time me and my husband finished decorating our new apartment and after that I realized I had some spare time. Then I decided to buy my first sewing machine. In time I gathered a lot of accessories for sewing and we dedicated a corner of our bedroom to sewing - with a custom build table for the machines and shelves for all the other stuff. The corner is just for keeping things organized because when I sew the whole bedroom becomes my playground :). I was 12 years old and I used to make dolls clothing using my grandmother's old singer sewing machine. When I was 25 years old, I decided to attend a fashion school to improve my sewing skills and learn new techniques. Humm,probably about the age of 10 when I was finally allowed to use the sewing machine. Before then I had to cut and drape fabric on my dolls. 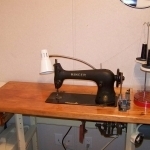 At age 8 I received a toy Singer sewing machine. For the last 60 years it's been my outlet for creativity. 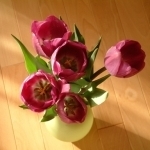 I've tried needlework, painting, knitting,and basket weaving. But I always return to fabric!! Not until I was a young adult, about 20-21. That was many years ago. 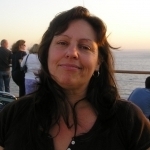 I am self-taught and my teaching relied heavily on the pattern instructions and envelope. I realized sewing was going to be a part of my life when my daughter was born. It was satisfying to make gowns and dresses for her as a baby. I now make dance costumes for my granddaughter and her dance company mates. I didn't realize that I needed what I learned in Jr. High as important until then. 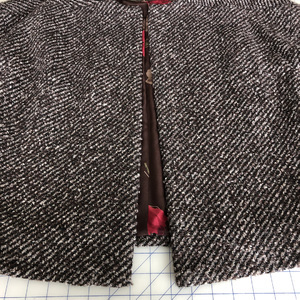 When I was pregnant with my first daughter and my husband was in college and we were living on a shoestring, I realized my child would need clothes and that I needed to learn to make them. I bought a Simplicity "teach-yourself-to-sew" pattern, this was in 1967, and began with a bit of help from my grandmother. 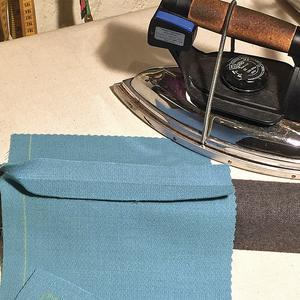 I learned to sew on a Singer straight stitch machine with a knee throttle. Soon I was making all our clothes, for my two daughters, myself and eventually for my husband too. All on that old, old machine. Surprisingly, many of the stitching techniques available on my fancy top of the line machine today were do-able then using attachments. 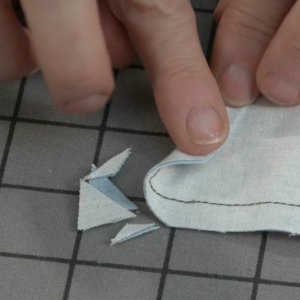 there was even an attachment for doing a zigzag stitch! For my Christmas present the first Christmas after my husband began working, he broke the bank and bought me a Beautiful Singer Golden Touch and Sew. I was in heaven! I still sew today for my family including my 11 grandchildren and their friends. 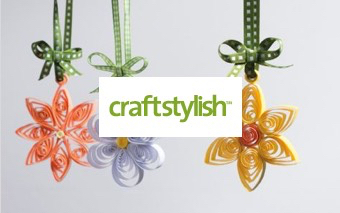 It's a passion for me and gives great satisfaction to make things both practical and whimsical. I started sewing in at home making dresses for a grandmother then in economics class in high school. I have not sewn regularly since having children but would like to get a new machine and start again. My oldest sister gave me the incentive to sew. She started sewing as a young girl and has never stopped. I am home on disability and have a lot of time on my hands. She has been a big inspiration to me as well as your magazine Threads. Learning from Mom as a youngster,intermittently over the next 50+ years I was obsessed with it. Now newly intrigued with quilting, I'm a newbie all over again! 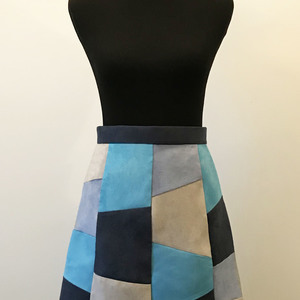 The first time I received compliments on a skirt I had made at around 23 years old I was hooked. 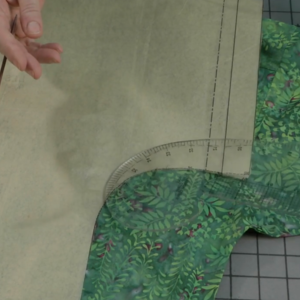 It was a simple straight skirt with a horse head pattern fabric. I wore it to shreds. My mother always said that I was born with a needle in my hand. I think, not quite, but I do remember cards and yarn at age 2. 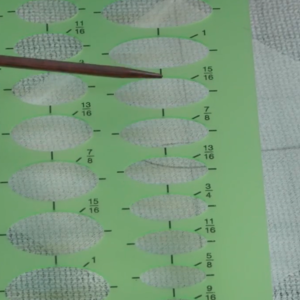 I would go in and out of the punched holes, happily sewing. It stuck! Probably when in Junior High. I cannot remember not sewing. Have sewn imported woolens, wedding dress, baby clothes, prom dresses, drapes, and so much more. Got away from it a while then back. Now I am in another unwanted break from sewing but so eager to get back. I never realized how talented at sewing I really was until I passed age 30. I took a couple of sewing classes in college to improve the skills I had learned in highschool. The college instructor praised my attention to detail and the professional look of my garments.. I realized that sewing would be an important skill to learn and my mother and grandmother taught me. They sewed most or all of their, mine and my sisters' clothes. While I only occasionally make myself clothes, I have used my skills to alter clothes, mend items, and make small items...oh and even a patchwork quilt. I am going to tackle some shirts soon so I can get the colors and styles that I like as many of the ones on offer at the stores are not well made and the fabric is not to my liking. When my mom taught me to sew at the age of 7. 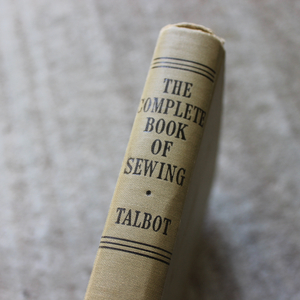 Although I started some basic sewing at the instruction of my mother and both grandmothers when I was a child, I didn't really know it was going to become important in my life until a few years ago. I started with simple doll clothing and easy skirts, but I didn't really pursue the skills seriously. 17 years ago, when I started working part time at a local department store, I tried making one dress, experimented with different fabrics & embellishments to make one pattern look like totally different garments so that I would have appropriate work clothing. The customers I served really admired my dresses (from the outside of the garments) and wanted to know where they were stocked in the store. When I explained that I made them, I was often asked if I would make more. But my "interior workmanship" was sloppy because I didn't know how to sew any better, and I still don't know how to properly fit and alter garments. I also have an extremely serious and rare metabolic disease that leaves me very, very ill most of the time, and has damaged the nerves (especially in my hands and feet) and I am no longer able to hold a job. I started combining my crochet, knit, and sewing skills to make intricate beaded and embellished period fashion doll outfits involving lots of technique combinations and tons of detail. I needed a hobby - no matter how long a project would take. I have to wait on my hands to work. But I kept trying whenever possible. I finally realized how important sewing was going to become once my niece was born and needed a Christening outfit. They wanted it to be handmade and meaningful. I thought I had a pattern that would work, but both the crochet and sewn pattern design portions had so many flaws that there was no way to work them as printed on the internet. I had to start over - from scratch, and I had to design it myself. It became a combination of intricate beaded crochet lace, sewing, real pearls, and ribbon work of my own design. Only a tiny crochet lace repeat detail remained of the original pattern - and even that was barely recognizable to the original idea. I had never designed or altered anything before. But all of a sudden, I had to figure out how to draft a lining for this intricately designed lace gown, and how to sew in ribbons and elastic shaping details - and I had never done any of this before. In addition to that challenge, the sewn "lining" gown had to be a separate garment and be suitable to be used as a Christening gown by itself - even though the plan was to have it covered by the crocheted gown. Then I had to repeat this designing, drafting, experimenting, and detailing for the gown, bonnet, shoes, socks, and capelet - all of which needed to be suitable to be worn without the crochet lace overlay. So the sewn "underlay" or "lining" pieces of the ensemble were carefully worked with ribbon, bead, embroidery, and pearl embellishments. These pieces were planned to be used by more than one family member, rather than making a second ensemble. The entire ensemble turned out beautifully on the exterior! I just wish I had known how to make the inside as beautiful. But it was my first important project and I did the very best that I knew how. I was so proud of the work I had done (especially for a first project) that I showed it to friends, extended family, neighbors, and everyone that was willing to look. Even though I have trouble using my hands at least 75% of the time, I continue to try any crafting I can manage in order to maintain as much use of my hands as possible - even if the result is messy at the time. After all, when I am well enough, my hands can sometimes surprise me with beautiful items that I didn't know that I could make! I keep trying to craft to help me keep the use of my hands - even if the result is messy at the time because when I am well enough, my hands can sometimes surprise me with beautiful items that I didn't know that I could make! Now I receive requests from friends of friends, and other people I don't know, who want me to design and make original Christening sets for their families - even for grandchildren that haven't been conceived yet! The requests are for heirloom quality pieces. Now THAT'S a challenge that I do not yet know how to meet. My garment interiors leave something to be desired when it comes to neatness and quality stitching. The exterior of the garment is fantastic! That is what most people will see. But until I learn better interior finishing techniques, I wouldn't feel comfortable selling my pieces. Because of the compliments given by those people who have seen my "sometimes beautiful work", I keep working at it. I just insist on having fun regardless of the outcome! Now there is no question that sewing - among other crafts - is important to me. 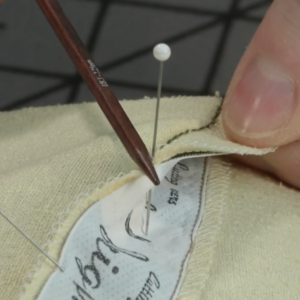 I started sewing when I was a Freshman in High School in a custom clothing class. From there on I was hooked. For quite a few years I would make something for myself, but then on I died down. I belong to the American Sewing Guild and I am trying to create clothing again and read the new patterns. I have read some of your threads magazines and the information is coming back. Thank you for the wonderful information you put out in your magazine. when I was 9 and was sewing my own doll clothes. However, I haven't really gotten time or resources to sew as much as as I would like too until the last year. I cannot remember ever Not sewing. I thought everyone loved sewing until I was in school and found out that some of my friends knew nothing about it. When i needed historic clothing and couldn't pay anybody to do it on a college student's budget! I was already good at sewing by hand which I learned in Germany at an early age of 8 years old. Darning was my specialty at the time. After I came to the USA, I went to school (4 different schools) in 2-1/2 years in order to graduate at age 18. Worked for two years, then served a little over four years in the Air Force. Got married, and when I got pregnant I had to leave the Air Force - in those days they didn't make maternity uniforms for the women. My commander knew that I was interested in sewing and brought me a Pfaff sewing machine from Germany on one of his flights over there. That is when I started to teach myself how to sew on a sewing machine. 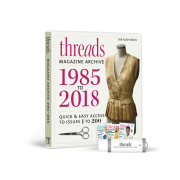 I own the archive of all the Threads magazines and still receive them. I would love to give a copy of the #172 to a very dear friend of mine who has helped me with a couple of sewing projects.